The new C-Class Coupe can provide East Greenwich drivers with a sophisticated, high-tech drive they’re been craving. Explore our C-Class inventory to find the two-door Mercedes-Benz C-Class for sale that’s right for you. Once you’ve decided on the new Mercedes you want, stop by Mercedes-Benz of Warwick to take it for a test drive around Providence today. LOADED WITH VALUE! Comes equipped with: Mojave Silver Metallic, Roof Spoiler, Silk Beige/Black, Mb-Tex Upholstery. This Mercedes-Benz C-Class also includes Air Conditioning, Climate Control, Tachometer, Dual Zone Climate Control, Memory Seat Position, Cruise Control, Homelink System, Power Steering, Telescoping Steering Wheel, Power Windows, Steering Radio Controls, Sunroof, Power Mirrors, Moonroof, Lthr. Steering Wheel, Driver Airbag, Passenger Airbag, Intermittent Wipers, Side Airbags, Rear Defogger, Security System, Anti-Theft, Satellite Radio, Navigation System, Center Arm Rest, Vanity Mirrors, Heated Mirrors, Rear Fog Lamps, Daytime Running Lights, Reverse Camera, Side Curtain Airbags, Roll Stability Control, Tire Pressure Monitor, Premium Sound, Carpeted Floor Mats, Overhead Console, Voice Control.LOADED WITH VALUE! Comes equipped with: Mojave Silver Metallic, Roof Spoiler, Silk Beige/Black, Mb-Tex Upholstery. This Mercedes-Benz C-Class also includes Air Conditioning, Climate Control, Tachometer, Dual Zone Climate Control, Memory Seat Position, Cruise Control, Homelink System, Power Steering, Telescoping Steering Wheel, Power Windows, Steering Radio Controls, Sunroof, Power Mirrors, Moonroof, Lthr. Steering Wheel, Driver Airbag, Passenger Airbag, Intermittent Wipers, Side Airbags, Rear Defogger, Security System, Anti-Theft, Satellite Radio, Navigation System, Center Arm Rest, Vanity Mirrors, Heated Mirrors, Rear Fog Lamps, Daytime Running Lights, Reverse Camera, Side Curtain Airbags, Roll Stability Control, Tire Pressure Monitor, Premium Sound, Carpeted Floor Mats, Overhead Console, Voice Control. If you’re interested, there’s even a hybrid option that offers 275 hp for a more powerful and efficient drive. Explore the Mercedes-Benz C-Class Coupe Sport, Mercedes-Benz E-Class Coupe, or another model. You can even compare our models to help you make your decision. Once you’re ready to get behind the wheel of a new Mercedes-Benz, contact us. 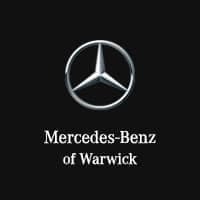 Why Choose Mercedes-Benz of Warwick? When you choose a model from Mercedes-Benz of Warwick, you not only benefit from a new Mercedes-Benz model, but you have access to new vehicle specials to help you save. You also have access to our state-of-the-art service center, genuine parts from our parts department, and service and part specials to help you save on regular maintenance or unexpected repairs. Check out what services we have to offer you and make an appointment for a test drive today to find the right Mercedes-Benz for you and your budget. Our knowledgeable staff is standing by to help you into your dream Mercedes model. We even have used C-Class options for those on a budget!